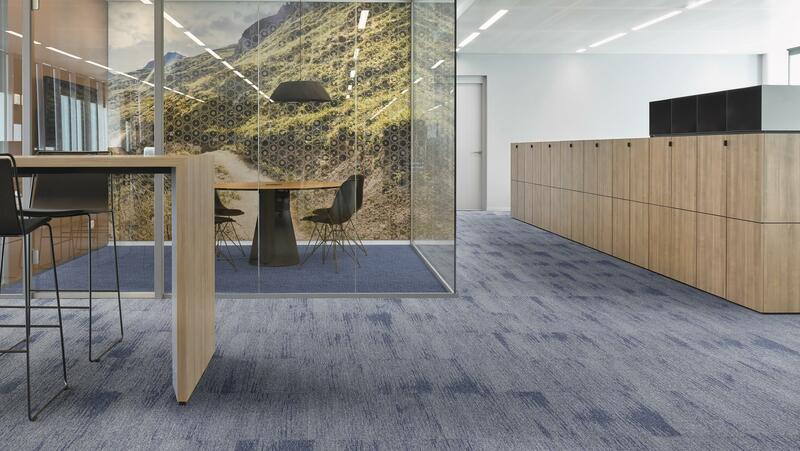 DESSO Essence Structure takes on a more organic form, with an infinite series of fading lines. Its ‘stone-washed’ look is achieved through the juxtaposition of light and dark tones. Seven neutrals, including beiges and greys, create a subtle but interesting effect, while five more vibrant options – blue, teal, deep orange, bright orange and green – make for bold, statement flooring. Each of the 12 colours of DESSO Essence Structure can easily be combined with DESSO Essence, DESSO Essence Stripe and DESSO Essence Maze for an infinite number of outcomes.